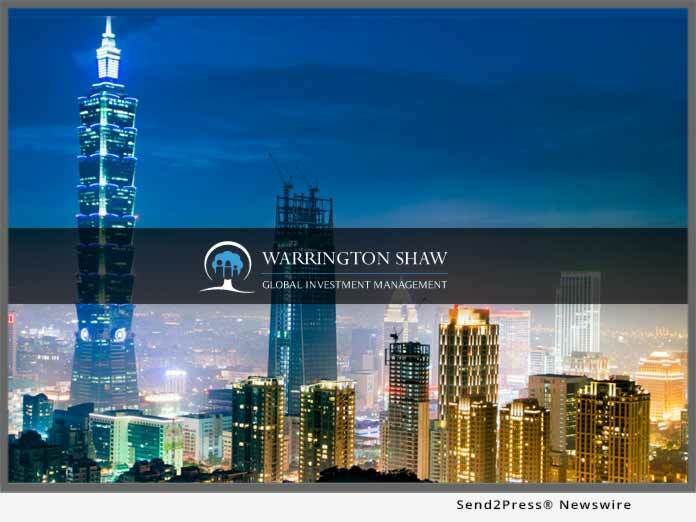 TAIPEI CITY, Taiwan, Feb 27, 2019 (SEND2PRESS NEWSWIRE) -- Taipei, Taiwan-based investment house, Warrington Shaw is planning to sponsor a local grassroots sports team. As part of an initiative to give back to the local community, Warrington Shaw plans to select a promising sports team from Taiwan each year and provide sponsorship to help pay for costs related to training, travel expenses, kit, facilities and equipment. Grassroots sports typically cover all disciplines of sport played by non-professional competitors on a local or national level through institutions working for nonprofit. Potential recipients of the sponsorship will need to apply to Warrington Shaw by means of a motivational letter detailing the history and goals of their sports team. "It is very clear that there is tremendous local sports talent in Taiwan but at a grassroots level, many teams with great promise simply lack the necessary funding to pursue their ambitions and fulfill their potential," says Ms. An Tsao, Head of Public Relations at Warrington Shaw. "Providing much needed funding to support these teams is a real and lasting way of giving back to the community." Not only has early sport participation been linked to higher self-esteem in the youth of Taiwan, statistically, youths who are regular participants in sporting activities are less likely to fall victim to substance abuse and commit crimes.